After the 19 May start of the trial of Yat Michael and Peter Yein, the judge ordered a 12-day recess. Nahmia Shaloka, a Sudanese lawyer who left the country because of his human rights activity and now lives in the United States, said a judge of Khartoum North (Bahri) Criminal Court set a 31 May date to resume the trial. 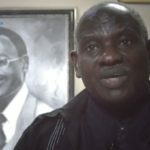 According to Shaloka, on 19 May a lawyer for the defence, Osman Almoubarak, told the Sudanese news website al-Taghyeer that the prosecutor showed to the court a CD, claiming that it contained an illegal speech given by Michael at the Presbyterian Evangelical Church of Khartoum North (Bahri). Almoubarak also produced a computer memory disk that he claimed belonged to Michael and contains evidence against him, according to Shaloka. Two South Sudanese pastors being held in Omdurman prison in Khartoum could face the death sentence when their trial continues on 19 May. World Watch Monitor reported in February that Yat Michael and Peter Yen (also named as David Yein Reith in some reports) were held in unknown locations after being arrested during a visit to Khartoum, Sudan’s capital, from their homes in South Sudan, which gained independence in 2011. 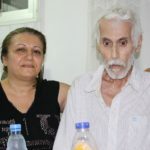 On 4 May they were charged with a series of offences, two of which – undermining the constitutional system and waging war against the state – carry the possibility of the death penalty or life imprisonment. Michael was taken into custody on 21 December after preaching that morning at the Sudan Presbyterian Evangelical Church (SPEC) Khartoum Bahri congregation. After the service several men who identified themselves as officers from the National Intelligence and Security Services (NISS) demanded that Michael go with them, and took him away without further explanation. The next day the security forces went to Michael’s temporary home and took some of his clothes and personal belongings. 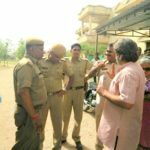 They informed his wife that he was being held in relation to an ongoing investigation but did not reveal any further details, whether he was under arrest or what the charges were. Michael and his wife had taken their child to Khartoum, the capital of Sudan, for medical attention but had been asked to preach at a church during their visit, sources told World Watch Monitor. Yen was arrested on 11 January after he delivered a letter to the Religious Affairs Office in Khartoum asking about his colleague Michael’s arrest in December. Both men belong to the South Sudan Presbyterian Evangelical Church. Their case was postponed until this week due to the availability of a representative of the NISS. The lawyer representing the two men believes the charges against them will be dropped, but the involvement of the NISS may lead to a different outcome. Shaloka, the former Sudanese lawyer, said the NISS legal advisor will try to connect Michael’s speech at the church to the charges filed against them. According to Amnesty International, the NISS is an agency that is above the law. Priscilla Nyagoah, a campaigner for Sudan and South Sudan at Amnesty International’s regional office in East Africa, said in a recent blog that the Sudanese parliament amended its constitution in January to extend NISS’ mandate to perform duties currently carried out by the armed forces and law enforcement agencies, adding that the amendment doesn’t require the agency to abide by relevant international, regional and domestic law. “Conferring an intelligence agency such as the NISS with such a mandate, in addition to its already extensive powers of arrest, detention, search and seizure under the National Security Service Act, is particularly alarming,” Nyagoah wrote. Nyagoah is calling for a human rights-compliant legal framework for the NISS, which would subject its arrest and detention practices to judicial oversight, and ensures that NISS agents perpetrating human-rights violations are held to account. The African Commission on Human and Peoples’ Rights recently sent out a message against the impunity of the NISS, by declaring the Republic of Sudan guilty of violating the rights of three human-rights defenders while in NISS detention in November 2008. The decision, published in February this year, requests Sudan to pay adequate compensation to Monim Elgak, Amir Suleiman and Osman Hummeida and to prosecute all those responsible for the illegal incarceration and torture of the three. At the continuation of their trial May 19, Michael and Yen will stand charged with disclosure and receipt of official information or documents, arousing feelings of discontent among regular forces, breach of public peace, and offences relating to insulting religious beliefs. 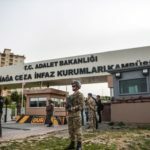 They also will face charges of undermining the constitutional system, and waging war against the state, which carry the possibility of harsher penalties. 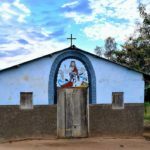 The church in Khartoum that Michael had been preaching at has suffered pressure from government authorities over land rights, resulting in most of the church being destroyed in December last year. 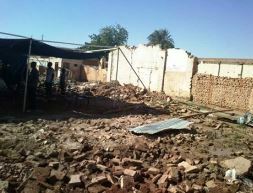 This is not the first time this year that a church building has been demolished by Sudanese authorities. In February and June 2014, churches were destroyed in Omdurman and Khartoum. While South Sudan has a largely Christian population, Sudan is predominantly Muslim. However, many thousands of Southern Sudanese who fled the long civil war to live in the north are now so rooted there, they choose to remain. There are still churches in the north to meet their needs, although some have come under pressure in recent months. Sudan’s minister of religion, Shalil Abdullah, has said that the authorities would not issue permits for the construction of new churches.